So, you have a website. (You do have a website, don’t you? If not, we can certainly help with that.) Good job! In this day and age, having an internet presence is not only smart…for most businesses, it’s absolutely crucial. Many companies, however, spend a lot of time and energy getting their site up and running, then dust off their hands and call it done. This approach, to say the least, is rather counter-productive. Think of your website like a car. Would you spend premium bucks on a brand new, shiny vehicle but do absolutely nothing to take care of it? Maybe you send it through the carwash every once in awhile to keep it looking good, but how far do you think it’ll get you if you don’t change the oil, replace the fluids, or rotate your tires? 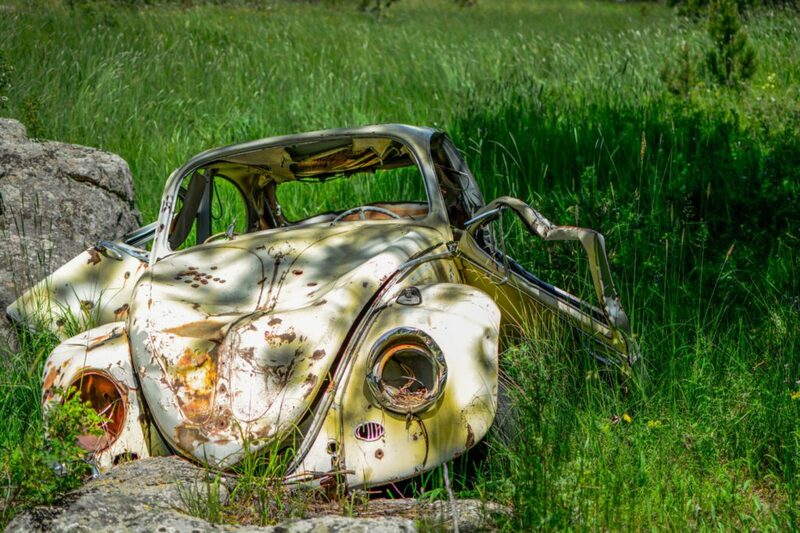 Pretty soon, your pride and joy will be just another hunk of metal, rusting on the highway’s shoulder, waiting for a tow to the junkyard. Maintenance is the name of the game, kiddos. Maintenance, maintenance, maintenance. Important not only for your car, but your website, too. You’re serious about your business (we assume), so you should seriously care about how your business is presented to the world. Your website often serves as a potential customer’s first impression of you. How are they going to view your company if your website is riddled with broken links or no longer works for the particular browser they’re using? Like it or not, your website heavily impacts the perceived value of your work, and if it’s sloppy…people are going to think you’re sloppy, too. Have you heard of SEO? It stands for Search Engine Optimization, and it’s the tool through which you get your website seen. (It’s also the topic of a future article all on its own….) When a potential customer searches the internet for your company, or for the services or products you sell, you want to be at the top of the list of their Google results. And guess what? Google really likes a well-maintained website. If you’re keeping on top of your site, eradicating any bugs or issues as soon as (or even before) they occur, Google will push you up in the search engine rankings. And the converse is also true. A neglected website gets pushed further and further down, until your company finally shows up on the 4th or 5th or 6th (etc.) page of a search. Not so good for business, is it? Think like a customer. What drives you crazy or turns you off when you visit a poorly-maintained site? You finally think you’ve found the info you’re looking for, when bam! 404, Page Not Found. Or maybe that form you keep trying to fill out keeps throwing an error message when you hit “Submit.” SO IRRITATING. Even worse…have you ever gotten a virus from visiting a buggy page? That’s REALLY not good. Don’t be that site. As we’re sure Gandhi would have said, had he been around for the digital age: Be the website you’d like to visit. This may all sound overwhelming, but it’s really not that difficult to keep your website in tip-top shape. In fact, we’re quite happy to do it for you, if you’d rather focus on other things…like running your business. There’s a lot of jargon in there, so feel free to contact us if you have questions or would like any clarification. And, of course, if you’d like to start up your own maintenance plan, we’d be happy to chat. Call us, email us, send us a singing telegram…we’re ready to help you get started!